This is a pack of two E-flite EC5 Female Battery Connectors. 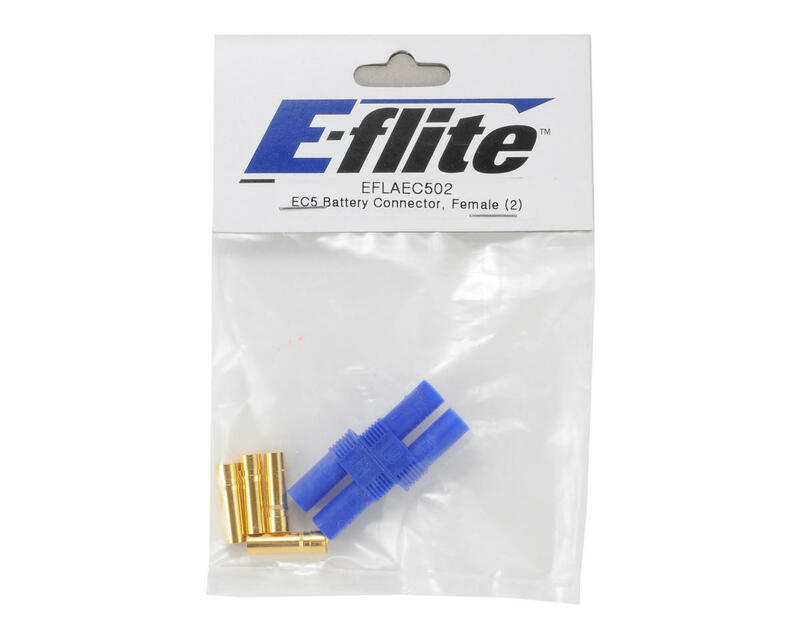 E-flite's high-quality EC5 connectors should be a staple for every workbench. 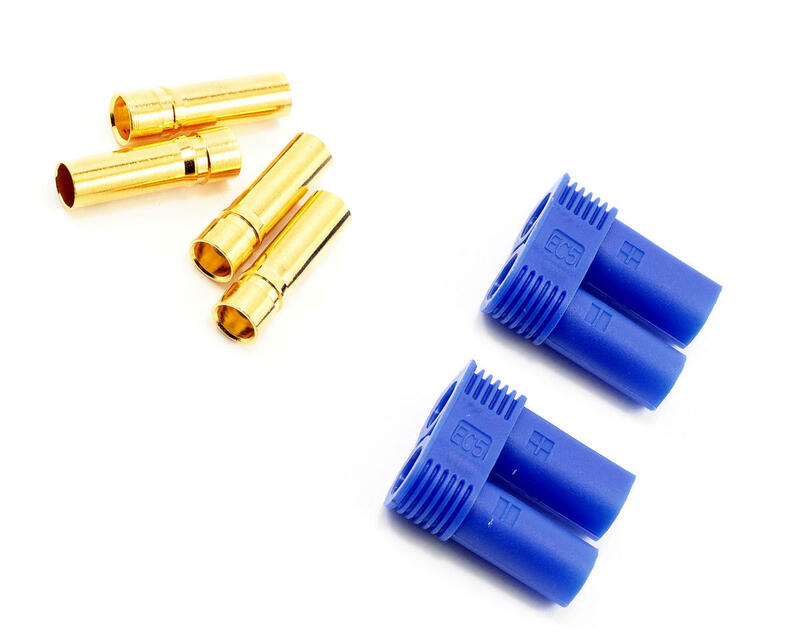 EC5 (E-flite Connector 5mm) connectors, leads with connectors, and accessories are perfect for electric power applications and work with any battery, charger, ESC, Power Meter, etc. They are ideal for high power applications.